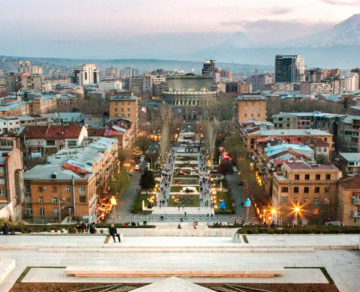 It is not a secret and not even a surprising fact the most expensive district in Yerevan is Kentron administrative district. According to the data of January 2018, here in Kentron, the average market price of 1 square meter of apartments in multi-apartment residential buildings is about 1,000 USD (equivalent t0 Armenian dram). There are buildings in the centre of the city, the demand for which is very high. 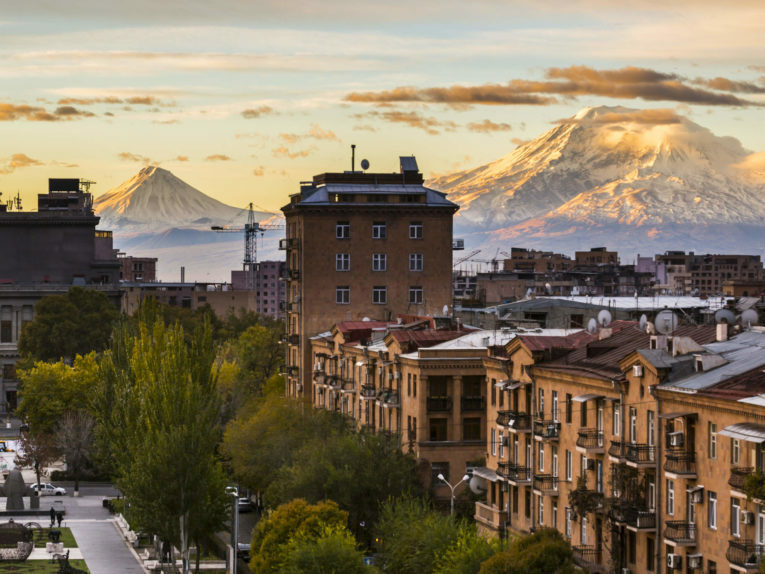 The most expensive apartments in Kentron district are located in the following streets: Northern Avenue, Cascade, Abovyan, Aram, Buzand and so on. The most expensive administrative district after Kentron is Arabkir, then Davtashen. 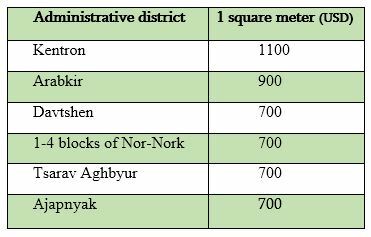 The other popular districts by demand are 1-4th blocks of Nor-Nork, Zeytun, Avan and others. The prices of apartments may vary not only by districts, but also by many other factors that determine price. Even in the same building the price of 2 apartments per square meter may vary by up to 50%. For example, the prices of non-renovated apartments in top floor and renovated apartments in middle floor of high-rise buildings have huge differences. So, it is important to choose the apartment not only by the district or the building, but also pay attention to the functional defects and advantages of the apartment. 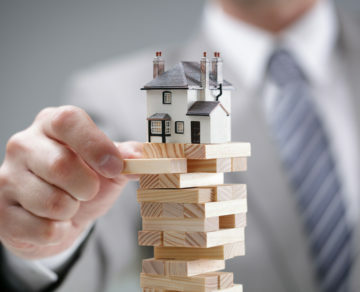 In case of this and a number of other reasons, the opinion of real estate agent is very important for guiding buyer to the right direction and finding the best price option. The prices for one-bedroom apartments in the centre of Yerevan start from 50.000 USD, and in Arabkir, from 35.000 USD (equivalent t0 Armenian dram). Prices in Davtashen administrative district are the same as in Arabkir, but it is very hard to find 1 or 2-bedroom apartments here in Davtashen, because this district is mostly family-friendly and 3 or 4-bedroom apartments are dominated. The difference between housing prices in Davtashen and Arabkir administrative districts is more about rating. Like one-bedroom apartments, it is also difficult to specify the exact prices of two-bedroom apartments, that’s why we can only give their approximate numbers. The price of 2-bedroom apartments in Kentron administrative district starts from 60.000 USD, in Arabkir it starts from 40.000 USD, and in Davtashen the price is about the same. The prices for 3 or 4-bedroom apartments in Kentron start from 80.000 USD, in Arabkir from 50.000 USD, and in Davtashen administrative district, they start from 45.000 USD (equivalent t0 Armenian dram). In terms of private houses, the most popular administrative districts are Aygedzor, Aygestan, Blur and Nork. 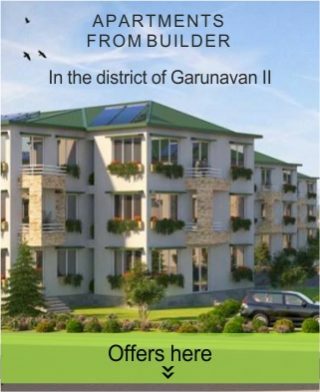 The buyers who look for the houses in these districts, want to live close to the city centre. And the ones who give importance to the status, security and cleanliness of surrounding area prefer to buy a private house in Vahagni residential community. And those customers who do not care about living in the very centre of the city or the status, prefer new, developing districts, such as Tsarav Aghbyur, G1 district or Monument. 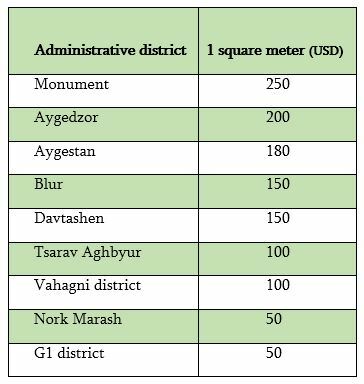 The approximate prices of land areas in Yerevan can be found in the table below. Let’s note, that after the construction the real estate with the area of 100 square meters in Monument will cost 150.000 USD, and in G1 district – 115.000. 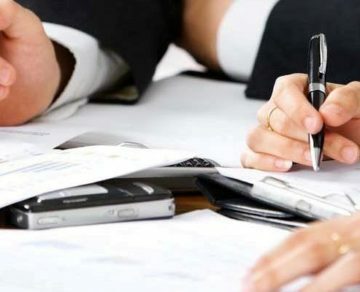 The demand of apartments in newly built buildings is increasing day by day due to the law of “income tax return”. 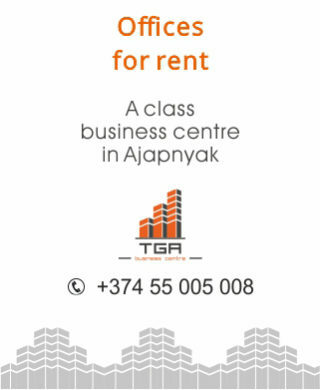 Below we present the approximate prices of 1 square meters of apartments in newly built buildings in Yerevan, without interior finishing works. All the apartments in newly built buildings are handed over almost in the same condition. They can have advantages or disadvantages against each other (improved yard, number of residents and so on). Nowadays active construction works are underway in several districts of Yerevan. The construction is mostly in passive state and almost does not exist in the following administrative districts: Erebuni, Shengavit (Charbakh), Nubarashen.